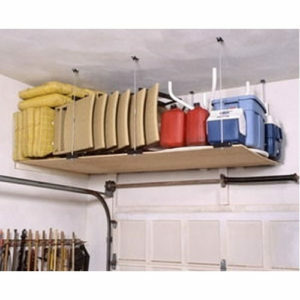 Our TidyGarage Three Level Garage Shelving Unit is completely customizable, and modular in design. 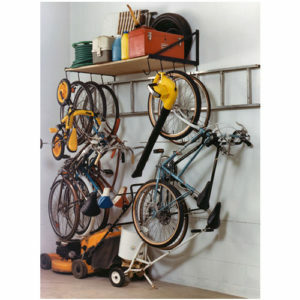 Adjust your shelf depth from 12 to 24 inches. 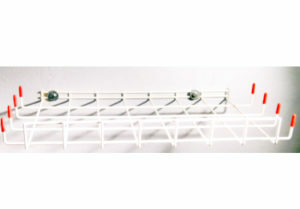 Width of shelf can be as wide as (8) eight feet. 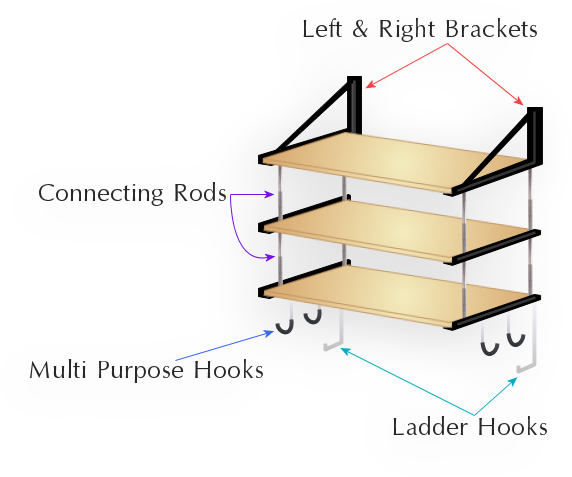 18 inch connecting rods, connected to each bracket and 24 inch shelving angle, support the second and third shelf. 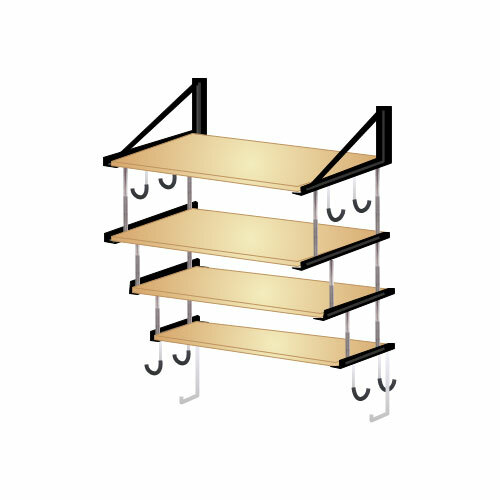 The entire shelving unit is secured further, with a stabilizing angle, fastened to the wall, and attached to the bottom shelf. 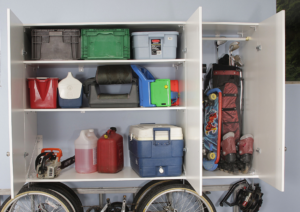 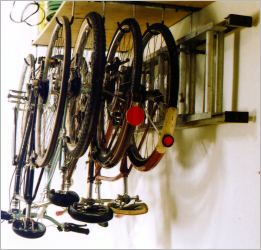 Add our wire mesh shelf to our three-level garage shelving unit, and you can increase the storage capacity even more, and move items such as balls, gloves, skates and helmets, off the floor and out of the way.